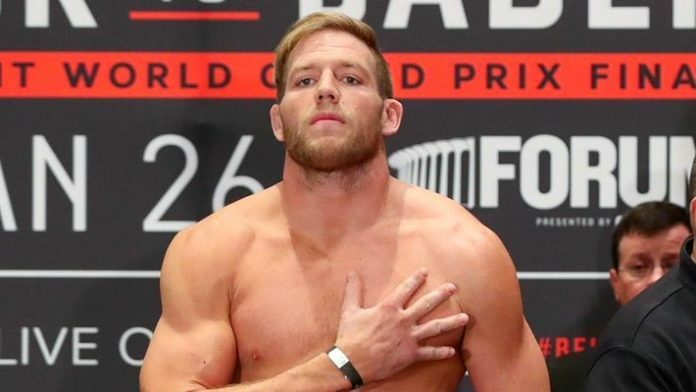 Former WWE Superstar Jake Hager, better known as Jack Swagger, has made the transition from pro wrestling to being a pro-MMA fighter. The former WWE World Heavyweight Champion has his next fight booked under the banner of the Bellator MMA promotion, which is owned by Viacom. His opponent has been revealed as he’ll take on T.J. Jones (1-1) at Bellator 221. He joined WINCLY where he talked about if WWE Chairman and CEO Vince McMahon congratulated him after his MMA debut. This show goes down on May 11th at the Allstate Arena in Rosemont, Illinois. Featherweight champion Patricio “Pitbull” Freire moving up to 155 pounds to challenge lightweight champion Michael Chandler will serve as the main event. For all of your latest UFC news, make sure to check out our sister site, MMANews.com.